Moses just before God parts the Red Sea. I've read that story about a bajillion times in my life. Each time I get something a little different from it. Each time I'm amazed. But as I watched last night I was struck by his choice, because as much as I want to believe I'd make the same one, watching it last night I had to wonder. See, there he was, leading ALL of the Israelites out of Egypt. He knew the Egyptians would chase them because God had told him that (Genesis 14:4), but he had no idea what God was going to do. All he had was the Red Sea in front of him, Pharaoh's Army visibly closing in behind him, and a bunch of complainers surrounding him. What a great place to be, right? Sure. God had told him to go, and he was being obedient, but in that moment--in that very moment where every visible thing around him said he'd either heard God wrong, or God must have been wrong, Moses chose to believe in the invisible. And I wonder if I'd do the same. I know I want to. I know I strive to have that faith. To stare into all the negatives around me and still cling to the word God has given me. To know His voice so well I don't have to question if I heard from Him. I don't want to join the bandwagon of the complainers. I don't want to fear those things that once enslaved me. And I don't want to worry about what lies in front of me. I just want to trust that God has it all under control, and He will make a path for me--even where there seems there is none. 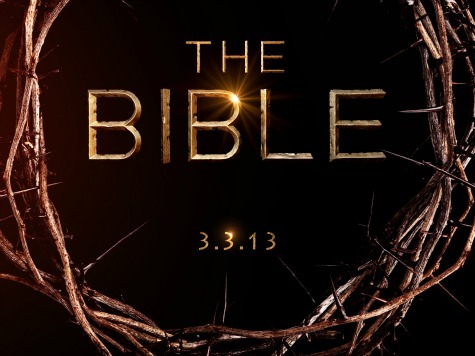 Anyone else watch The Bible last night? If so, what stood out to you? My family and I watched. The scene with Abraham on the mountain, knife raised to sacrifice his own son - that one stood out to me. Could I give up anything God would ask of me? Could I pass a test of faith like that? Mixed feelings. Yes - that was another one! It's definitely different watching it played out in front of you!